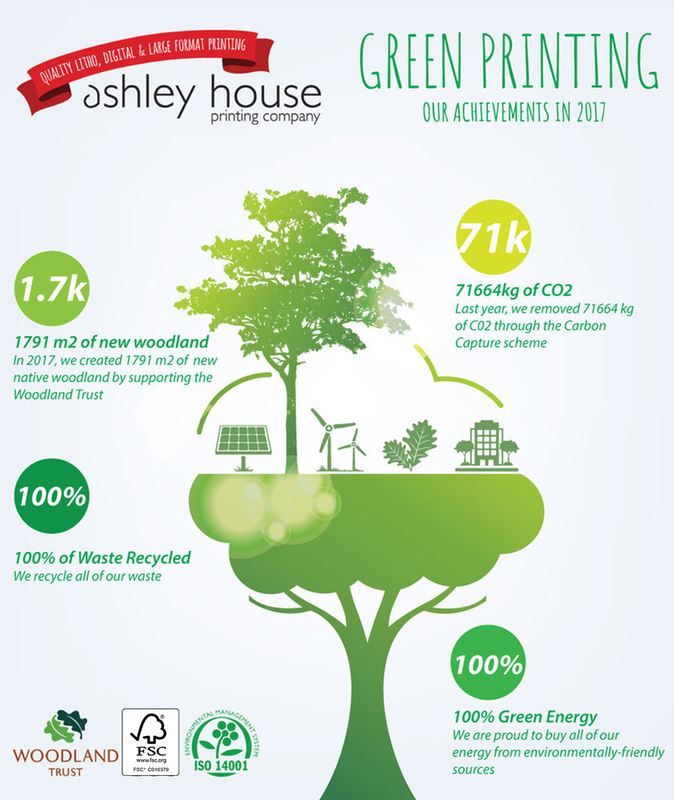 At Ashley House, we&apos;re committed to being as environmentally friendly as possible and are proud to share some of our 2017 green achievements! We created 1,791.59 m² of new native woodland by supporting the Woodland Trust. We removed 71,664 kg of Carbon Dioxide through the Carbon Capture Scheme. We recycled 100% of our waste. All of our energy came from environmentally friendly resources. If you’re looking to improve your green footprint, contact us on 01392 202320 or hello@ashleyhouse.co.uk for eco-friendly print!